Another week, another winner! 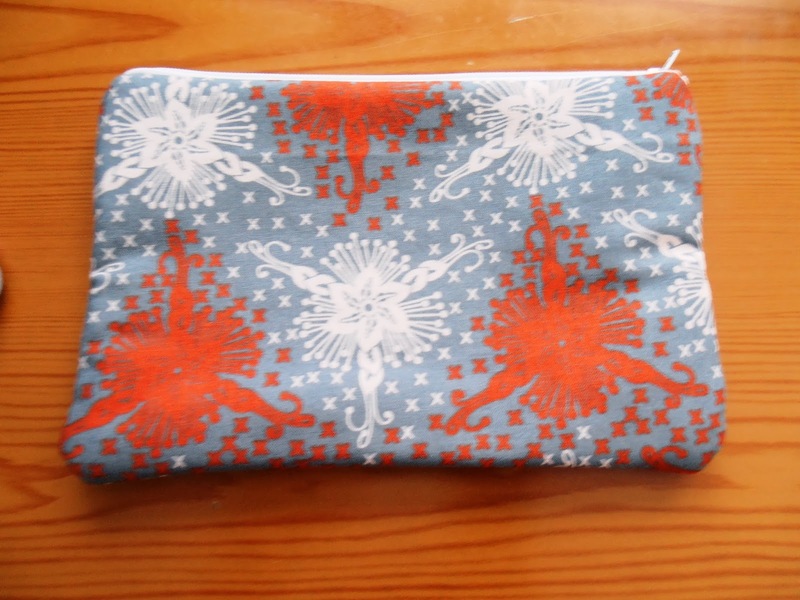 The six pattern bundle drawing is over, and Joske W. was the winning entry. So, if that's you, check your email! 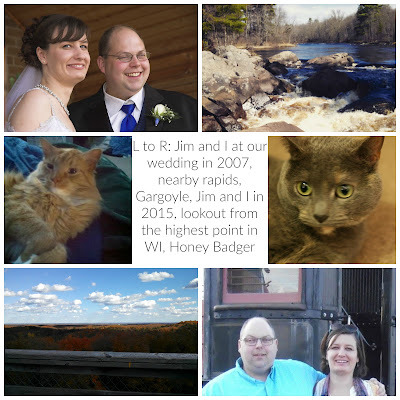 This week, I have a fun giveaway that's also practical. 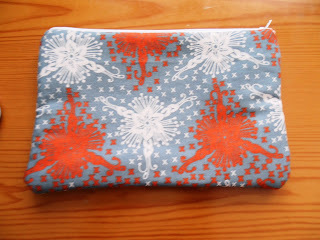 Zipper pouches were one of the first things I sewed and they got me hooked. It was a fast project. You can whip one up in under half an hour. They don't take up much fabric, and they are practical. You can use them to store makeup, cell phone chargers, headphones, sewing supplies, pretty much whatever you like as long as it will fit. 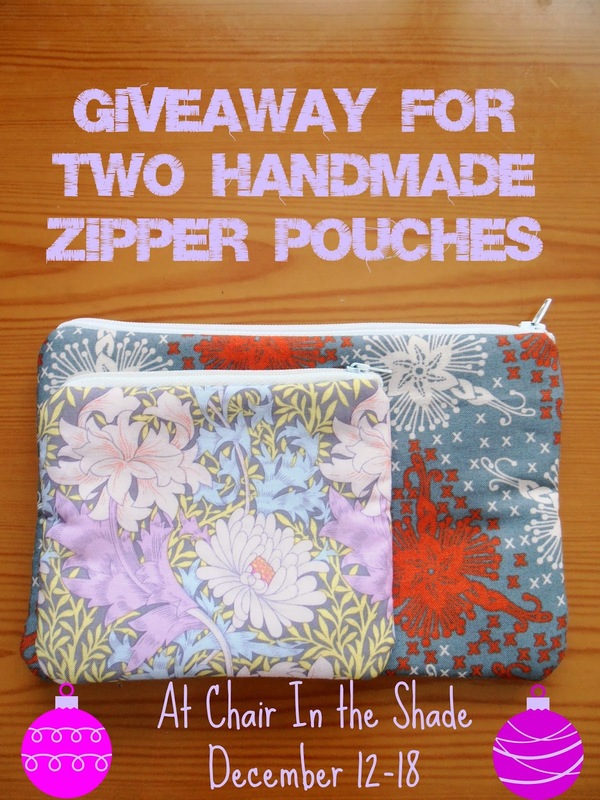 This week I'm giving away two pouches. The smaller is perfect for purses, to hold cash, credit cards, lip balm, whatever you like. It measures 4 inches tall and five inches wide. 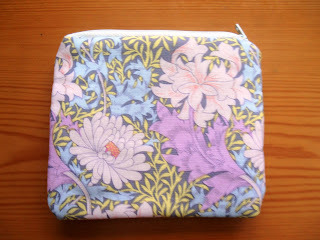 The exterior fabric is Kaffe Fassett's Winding Floral print. The inside is a pale green with white polka dots. It has been interfaced with fusible fleece so it's quite sturdy. The zipper is white. The larger pouch measures about eight inches wide and about five and a half inches tall. There's a layer of fusible fleece sandwiched between the lining fabric and exterior fabric of this one too. The exterior is from Anna Maria Horner's LouLouThi collection. I don't know the exact name, but it always kind of reminded me of fireworks. The interior is a mint green woven. If you carry a big enough purse, you can definitely throw this guy in your bag. But it'd also be good to hold makeup brushes, art supplies, crochet hooks, etc. To enter, just follow the directions on the Rafflecopter giveaway below. Leaving a comment is mandatory, all other entries are optional. And if you haven't entered yet, you have one more day to get in on the Stash Builder Giveaway! I love reading. Favourite books at the minute include The Last Runnaway by Tracey Chevalier, and Possession A.S. Byatt ( I have just read this for the umpteenth time). I've never read either of these. I've heard of both, and I know my mom really likes Tracey Chevalier. I'll have to check them out. The Glass Castle is an amazing memoire - unbelievable story and unforgettable too!! I read The Glass Castle. It was really good. Bittersweet, and a little sad, but good. Ooh! This sounds interesting. I'm into documentaries like Food Inc, Fast Food Nation, and books like The Botany of Desire and The Omnivore's Dilemma. I'll have to check it out. I read Hunger Games and surprised with how much I like them and how much they stuck with me. I have not read Redeeming Love, but I have read others of Francine Rivers books and really liked them. I should really check that one out.